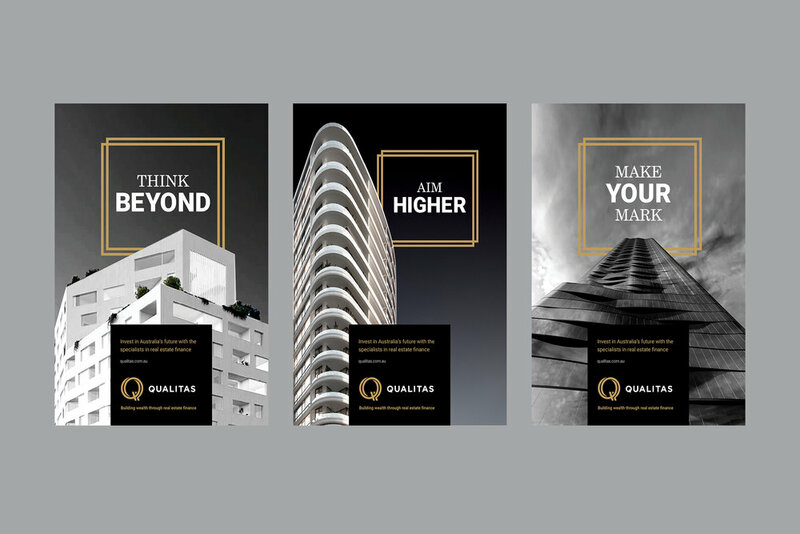 With impeccable credentials as a real estate financier, Qualitas needed to boost brand awareness in the lead up to the IPO of their new fund – the Qualitas Real Estate Income Fund. To raise the firm’s profile, a bold new brand identity was created, featuring desaturated imagery of imposing architectural perspectives and simple, strong headlines. The new branding was then rolled out across a stunning new website, and print and online ads as well as a microsite, ads and other comms for the IPO launch. The idea of being part of something bigger came to life in a campaign that invited people to invest in commercial real estate finance in a way that was good for Australia’s future as well as their own. By combining a sophisticated new look with a state-of-the-art online experience, the campaign has been instrumental in promoting Qualitas in a confident and compelling way.